It is true, the Salar de Uyuni is impressive. The salt flats stretch out to the horizon, a surreal landscapes that crunches underneath your feet as you move. The white is so blinding that it is impossible to keep one’s eyes open without sunglasses. Taking pictures here is one of the highlights of everyone’s visit. But before you come to the Salar, there are a few things to keep in mind to take home the most memorable photos. In the Salar de Uyuni, photos are all about composition. It pays off to consider a couple of important things when planning your pictures. First of all, you need to know that the Salar de Uyuni has two seasons. Most of the year, the salt flats are dry. But in January and February, during the rainy season, they transform themselves into a giant mirror. Depending on the season, you will take different pictures. Dry season is the time to play with perspective. In wet season, you can experiment with your reflection. 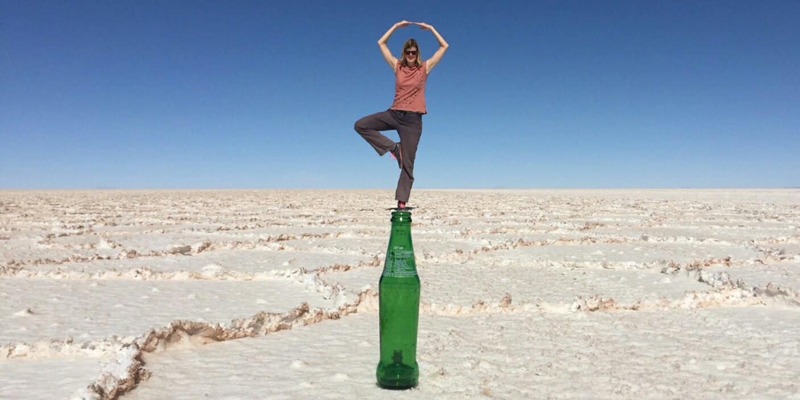 All year round, you can take jump pictures or any other kind of photograph showing you having a good time in the Salar de Uyuni. 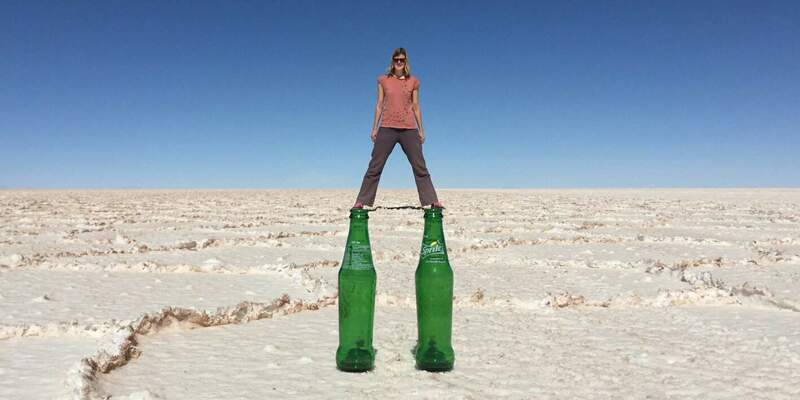 Advanced planning is the key when taking pictures in the Salar de Uyuni. Think in advance about what kind of pictures you want to take and what kind of props you will need. In wet season, maybe you would like to take an umbrella? Dinosaurs, bottles and pringles cans are all popular props for dry season pictures. Make sure to bring those with you. Also, you will need a jumper or a blanket. Those salt crystals are pretty sharp and will cut into your skin if you lie on them. If you’re stuck on what to take, you can always google for inspiration. With hundreds of tourists coming here every day, many possible scenarios have been done already. There is no shame in copying popular poses (crawling out of a box of pringles etc.). This advice applies more to dry season than to wet season. When taking pictures and playing with perspective, you need to look out for your shadows. They can easily ruin the photograph. The best way to take pictures is by making sure that the sun is exactly behind the photographer. That way, the shadow will be hidden behind the person in the picture. To make sure your pictures look good, the photographer needs to get as close to the ground as possible. That means lying down (which is why you need a jumper or blanket to avoid cuts). Put the object in the foreground close to the camera but watch out. Make sure you have enough depth of field so everything in the background is still in focus. If in doubt, get a little farther away from your foreground. Good photos take several tries. Experiment with the perspective and the angle. Look at the reflections in wet season and then move around to mix them up. The most useful advise I received was to start easy and then move on to the hard photos. Put an object in the foreground and a person in the background. Once you have taken a couple of pictures that way, you can go on to harder photos and include several people or objects. You can also mark the ground to make things easier for the person in the background. Use small objects like bottlecaps, but make sure they are not visible later on. This takes quite a bit of practise and you will have to try multiple times to succeed. 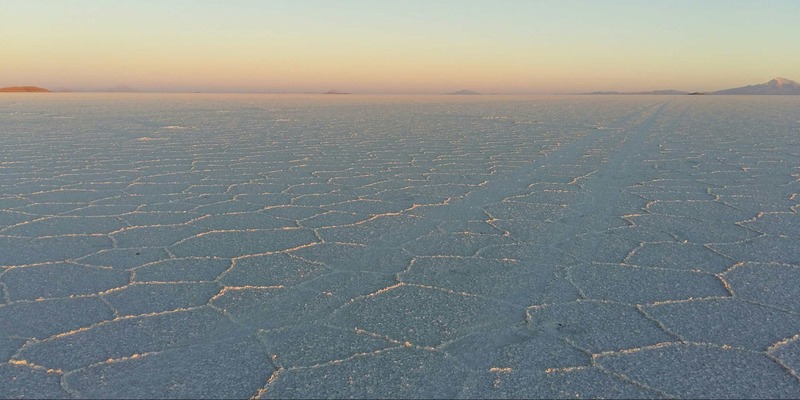 Chances are high that you will be exploring the Salar de Uyuni with a Bolivian guide. Most of them come here, if not daily, then at least every couple of days. They have taken hundreds of pictures in this environment already and seen every pose you could possibly imagine. Some might have props in their cars that they can bring out. They can also give you suggestions if you’re stuck on what to do. And, of course, they know how to compose the best pictures and will gladly do so for you. Keeping all of the above in mind, you should be able to take amazing pictures in the Salar de Uyuni. How did it go? I would love to hear about your experiences there. 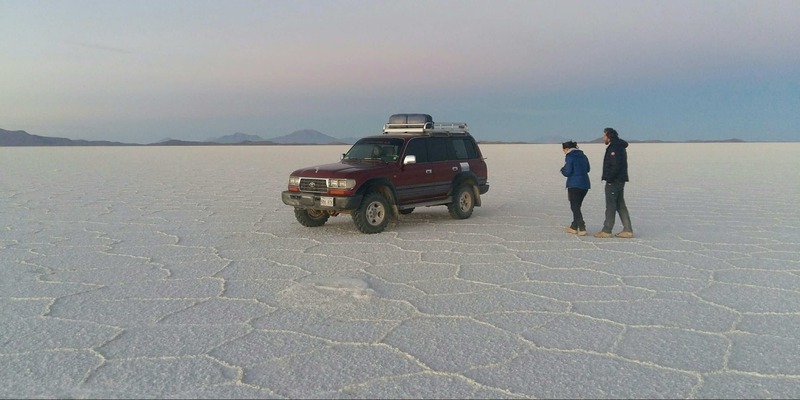 Also, find out more about this area by reading up on my friend’s great article on what to expect when going on a tour to the Salar de Uyuni. Or catch up with my personal experience whent travelling from the Atacama Desert to Uyuni. Yes, remember the props! 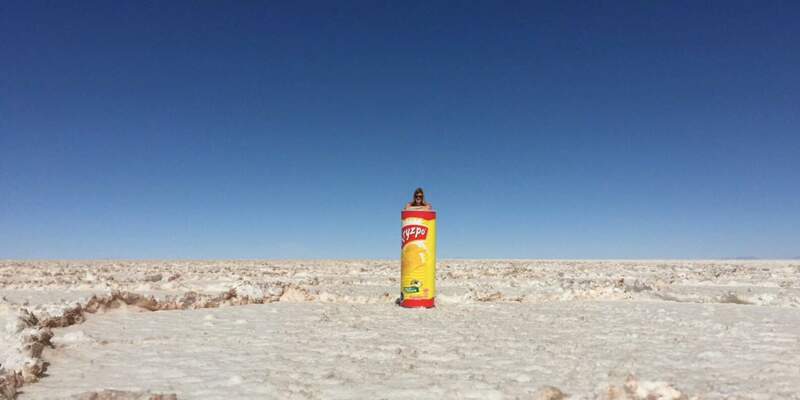 No matter if you’re coming from Uyuni or from Chile, you will be able to buy them. I can highly recommend the Salar de Uyuni to you. It is a great place that you should not miss.